In the United States, it seems that most approaches to customer service are generally based on common sense. That is, if you have a problem with a company or with the government you contact the appropriate office to express your concerns or to obtain information. At first glance, the approach the IRS takes to providing tax information and tax guidance is no different. Unfortunately, a little bit of digging by an interested taxpayer would show that appearances are deceiving and taxpayers must carefully consider any tax advice or guidance they receive from the IRS whether the advice is obtained online or over the phone. If you have tax questions, it is wise to work with an experienced tax practitioner. CPA Ted Kleinman has worked with expats on an array of tax concerns, routine tax filings, and tax problems for more than 30 years. To discuss how Ted can help you understand, assess, and weigh information provided by the IRS so that you can comply with all tax obligations while legally minimizing your obligations, call 1-800-810-9132 today. 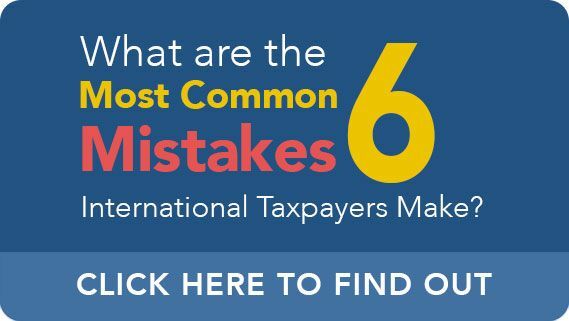 Can You Trust What the IRS Publishes on IRS.com? While the IRS does its best to ensure that all information posted on its site is accurate and up-to-date, no efforts can ensure perfection. In recognition of this fact, the IRS specifically disclaims liability for taxpayer use of certain materials on its website. These distinctions are set forth, at length, in a recent May 18, 2017, memo issued by the U.S. Department of the Treasury. While the target audience for the memo was IRS auditors and examiners, the memo is also instructive to taxpayers who might consider performing their own tax research through the IRS. Essentially, this means that a taxpayer may rely on any document on the website that has also been published in the Internal Revenue Bulletin. However, many items, including the FAQs that many tax laypeople find particularly accessible have not been published in the Internal Revenue Bulletin and therefore are not supported by the force of law nor should they be relied upon to sustain a particular tax position. Should Taxpayers Follow the Advice of the IRS When They Call In? Some taxpayers may wish to speak to a human when they call for tax advice. They may believe that they will receive more attention from a human or the personal connection will lead to better advice. Regardless of one’s reasons for calling the IRS, it is important to note that the same caveats that apply to information on the website also applies to information provided orally over the phone. That is, the information is only considered binding on the agency when it has previously been published in the Internal Revenue Bulletin or otherwise given force of law. However, there is another more practical problem that callers seeking advice from the IRS will face: call center wait times. While wait times have improved since their peak in 2015 and 2016, waits can still be extremely lengthy. Furthermore, at one point, the Taxpayer Advocate Service reported that less than half of calls to the agency were actually answered. The rest of callers had the pleasure of experiencing a “courtesy disconnect” and restarting the call-in process. Wait times and disconnects routinely spike during busy periods such as on holiday weekends or in the lead up to the tax filing deadline. If you are living overseas and calling from abroad, the frustrations presented by long hold times and disconnected calls are only amplified. If you have tax concerns, work with a CPA who is experienced in addressing tax issues commonly faced by U.S. expatriates. CPA Ted Kleinman can provide trusted tax guidance that will allow a taxpayer to stake out well-supported tax positions and maintain his or her compliance with all aspects of the U.S. Tax Code. To schedule an initial consultation, please call U.S. Tax Help at 1-800-810-9132.